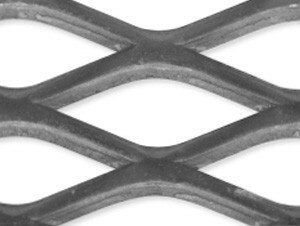 Walkway is one continuous single sheet of mesh produced when a flat metal plate is sheared and stretched but is left intact at the 'knuckles'. 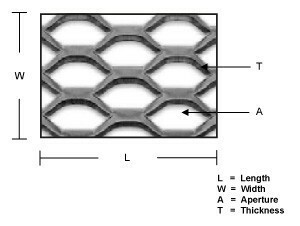 It is available in a variety of thicknesses with differing sizes and designs of the apertures. The strands and knuckles are set at a uniform angle to the plane of the sheet. This adds strength and rigidity and distributes the load to the supporting frames. Because there are no welds or joins it operates as a structural member that distributes loads evenly over a wide area. It provides an excellent anti-slip surface making it suitable for ramps, platforms and stair treads. The open nature of the product provides good visibility through the mesh as well as the easy passage of air and sound whilst ensuring security and protection. Per Each - $113.99 GST incl. Per Each - $156.90 GST incl.